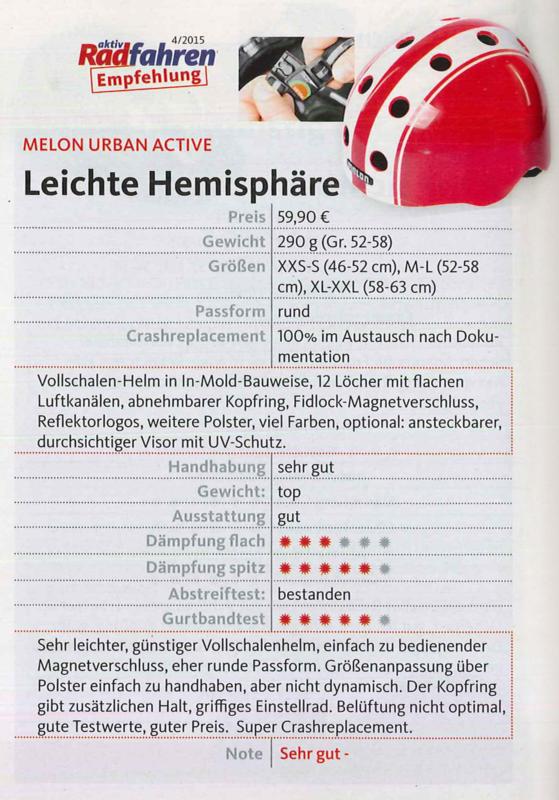 The well-known independent German magazine „aktivRadfahren“ has tested twelve bicycle helmets, issue 04/2015. The test was a lab test according to the EU standard EN1078 and was supported by helmet experts of Cratoni. 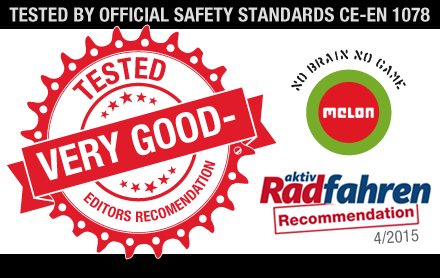 The Melon® Urban Active helmet received the mark „very good minus“ and the explicit recommendation of the magazine. Thereby the Melon® Urban Active is the third-best helmet in the test and the best urban bicycle helmet with a closed helmet shell.